In all legal matters related to intellectual property, the professionals at Bilicki Law Firm take a client-centered approach as we offer advice and representation to those in Jamestown, New York. Our attorneys are capable of handling matters of intellectual property (IP) litigation, prosecution, copyrights, trade secrets, due diligence investigation, licensing and agreements, and counseling and opinions. As an international practice, we have worked with some of the best legal professionals around the globe so our clients can compete in a global market. We also represent those in Erie, Pennsylvania; Buffalo, Victor and Syracuse, New York; Denver, Colorado; Shreveport, Louisiana; Washington, D.C.; and northern Virginia. As we offer free initial consultations to all potential clients, we recognize that a one-size-fits-all approach will not work in our field; each case deserves its own practical, strategic, unique approach. 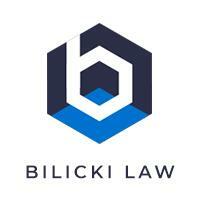 At Bilicki Law Firm, we have been representing clients for 15 years by offering a safeguard as they discover new products and technologies. We take the time to get to know each client or business on a detailed level with an understanding of their goals, customers, technology, language and people. With a proven track record in the courtroom, we offer long-term success through passion, skills and good judgment. Whether the case is a high-stakes litigation situation or a simple patent claim, the attorneys from our law firm are comfortable leading the way. We take the time to understand the budgets of every client to offer competitive rates, and we accept credit card payments for our services.